Photography Documentaries are wonderful to watch on rainy days or when inspiration eludes you. Here is a short list of the ones I have watched and a few lines about my impression. I do not want to review them too deeply because, unlike an expensive book, watching them are easy and the investment is very low. So I suggest you watch them all! 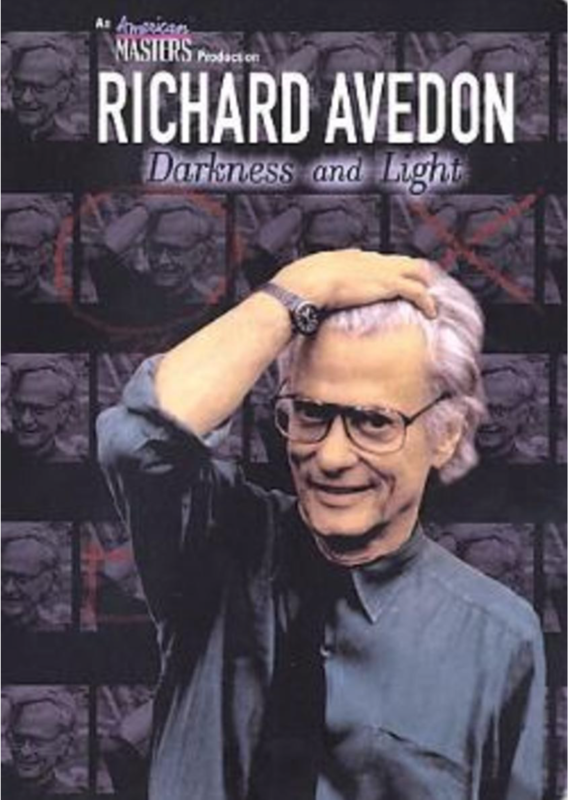 Richard Avedon: Darkness and Light 1995: I love this photographer. Virtually everything he shot speaks to me. He is one of the few fashion photographers that consistently made amazing art. He shot larger than life and created a novel in every picture he shot. I have a couple of his books and they never stop amazing me. This documentary was made my American Masters and they did a brilliant job. You have Richard Avedon speaking about his work, but mostly about the experiences he had during the various phases of his career. Of special interest is his post war Paris experiences. The pictures they show and the stories behind them make you look at his pictures in a new and unique way. I love how he speaks of all the brilliant people around him, not about what they did but about how they impacted his work and his outlook. You also see the heartbreak. When he speaks of his sister or his fathers death, you start to see how human he is. This then puts his pictures in a different light as well. Again you can see this on YouTube. A movie of this quality, available for free makes me a true fan of YouTube. Diane Arbus Masters of Photography 1972: Diane scares me. Her photography scares me. Her life is a fascinating one but difficult to tell. This documentary dives into a difficult subject through a monologue by her daughter at the very beginning. It then goes into Diane's photography and her perspective in it. Behind the entire tale is the knowledge that this brilliant photographer ended her own life. That difficult truth, makes it impossible to look deeply into her photographs to try to see more than is there. This documentary is brilliantly done. 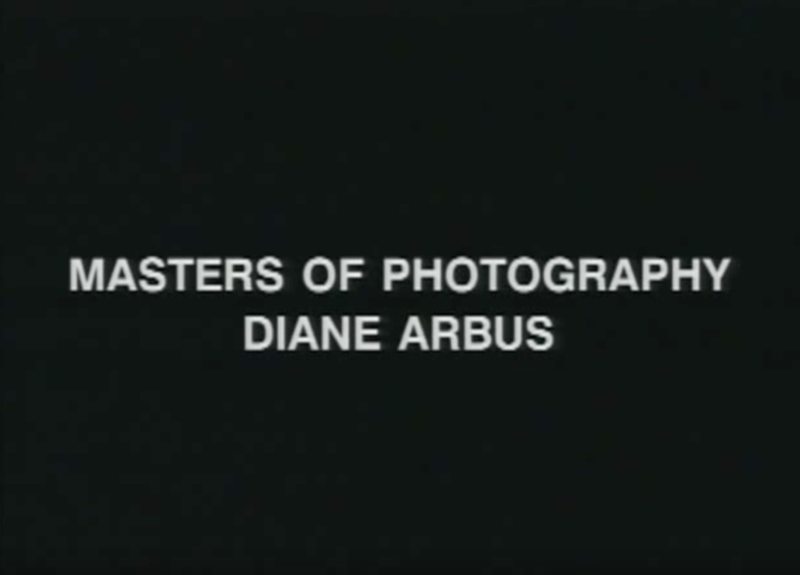 I believe Diane is a difficult photographer to study, but this documentary is a great first step. Alfred Stieglitz The Eloquent Eye: Alfred Stieglitz had a larger impact on American Photography than anyone else in history. His legacy continues to impact what we see and how we approach it. This documentary is a brilliant one. It is filmed well and uses his own words (read by an actor) to speak about his own perspective. The experts they bring in to speak about the photographer and his impact on the art scene are well spoken and the editing is perfect. One concept leads to the next, slowly painting the picture of this driven man. 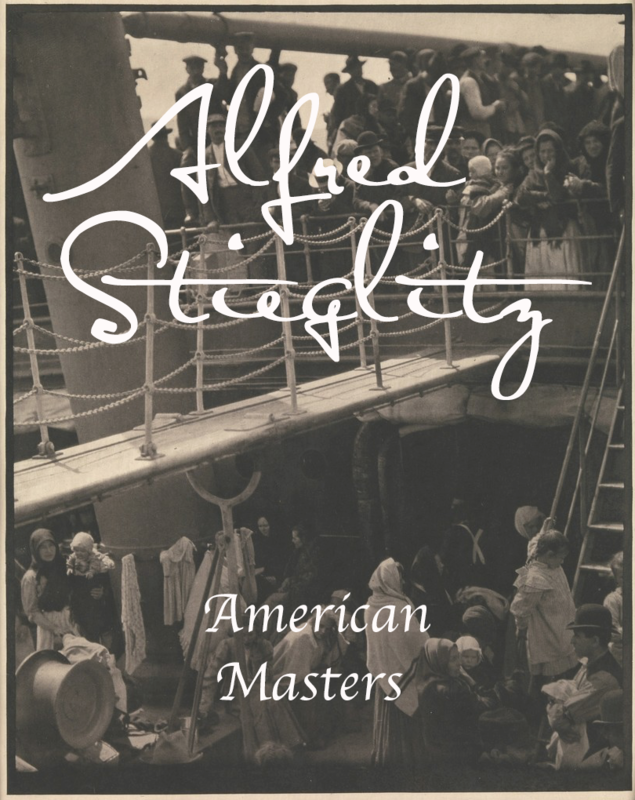 While I do not see Alfred Stieglitz as a brilliant photographer, I do admit that he drove the art into a new genre and most of the masters I admire were impacted by Stieglitz. I would suggest this documentary to anyone who wants to understand more about the art and its history. This film helps explain Stieglitz's perspective on art, which has defined all photographers since. Again you can see it HERE. 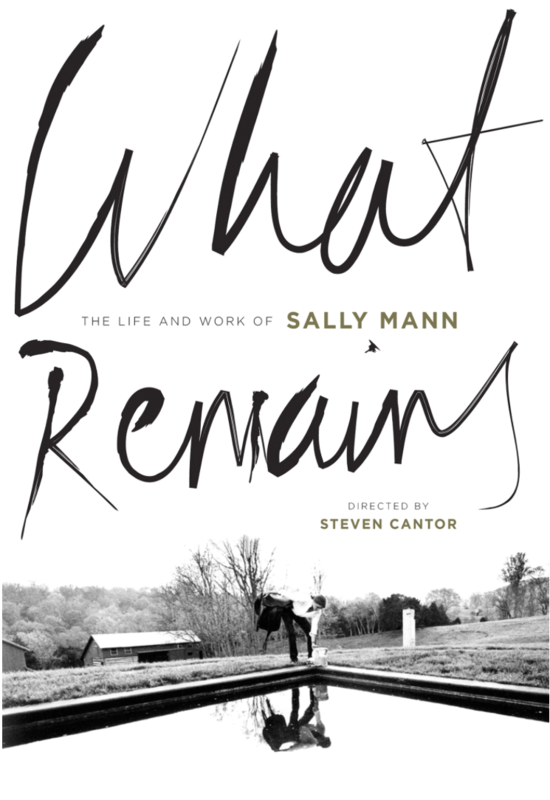 What Remains: Sally Mann: Ok this is the first documentary that is not free. I bought this on Apple TV, downloaded it for a long flight and I am thrilled I did. What Remains is a documentary which uses early footage from a previous documentary that was made. It catches up to Sally Mann just before she releases a new project. Sally speaks about her earlier work of the photographs of her kids. She speaks about the controversy they created and how it impacted her and her family. She then moves to her next project of shooting landscapes. She explains how she transitioned from her kids to shooting the environment around them. I find that she speaks a great deal about her work and how it was accepted by the media. She draws great pride of Time Magazine's article on her early work and how the landscape photographs helped prove she could shoot other things. The fact is that her landscape shots never received the same critical acclaim as her early work of her kids. She steps into another provocative subject of death and decay. In the documentary she finds out that the New York gallery that was going to show it turned it down. You can see how this impacts her. I love Mann's work and this documentary gives you a unique view of how she works and how she views her work. 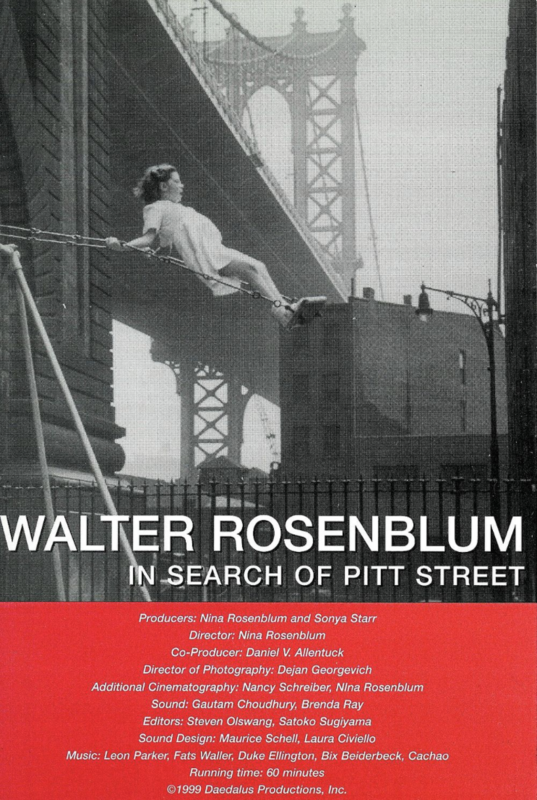 Walter Rosenblum: In Search of Pitt Street: This is another documentary I purchased on Apple TV. It is a wonderful documentary of a often overlooked photographer who lived an amazing life. A genuine person who connects with the people and areas he photographs. The documentary shows how emotional he was which helps explain the connection he had with his subjects. He explains a bit about his time in World War II, where he received several medals. He explains how his early work was influenced by the Photo League of New York. He speaks about how he learned from this group. You can see more about this in the documentary below, where Walter is shown speaking again about the Photo League and what it taught him. If you love photography from the 1930's through 1950's Rosenblum will thrill you. His work captures a wonderful time in US history and the documentary does a very good job showing you his own perspective of his work. Again I highly recommend watching this. 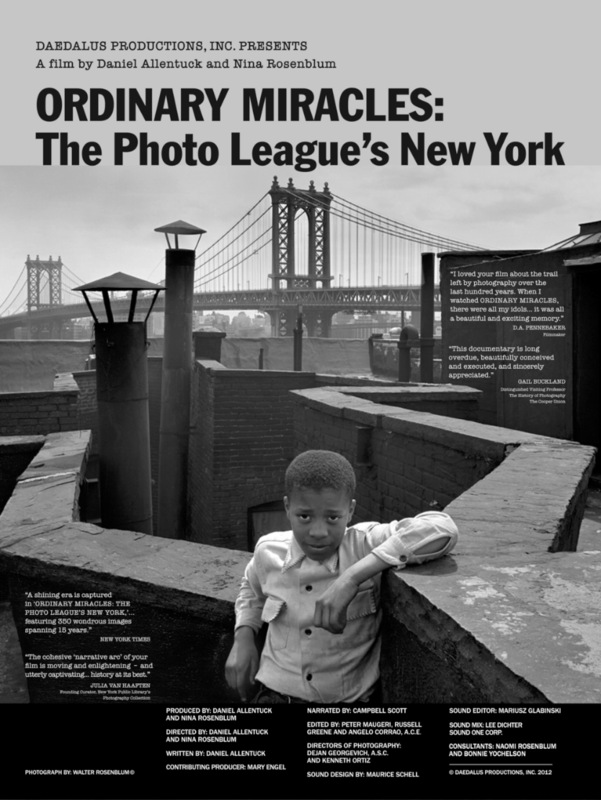 Ordinary Miracles: The Photo League's New York: This is an odd documentary. It is not about a specific photographer but about the League itself. You see some masters of photography being influenced or even taught by this amazing league of people. The McCarthy persecution brought an end to the Photo League but the impact it had is still being felt today. The documentary tells this tale but it does so in a convoluted way. I only put it all together after seeing it a second time. Looking at the photography forums that are around the Web it is interesting to see how photographers have always been drawn to one another in order to learn. 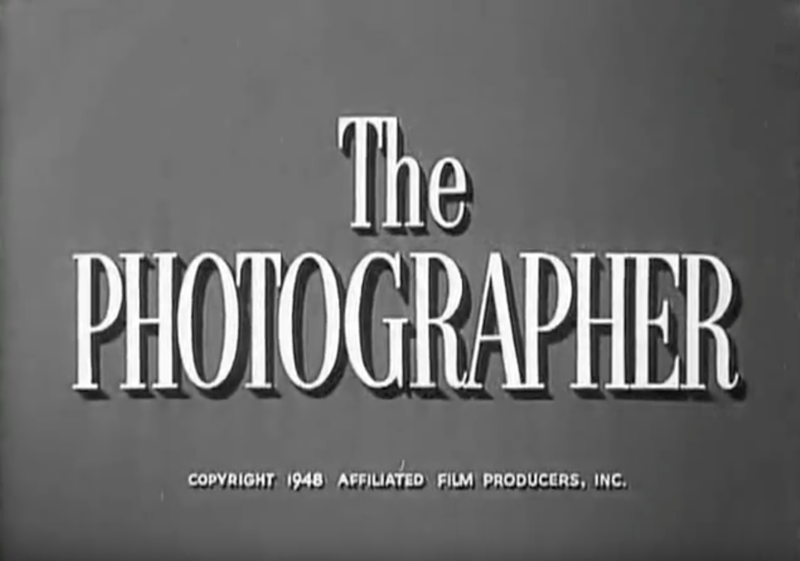 I often times wonder what would have happened if the Photo League of New York had continued, educating and motivating young photographers. This is a nice documentary if a little convoluted in its telling. 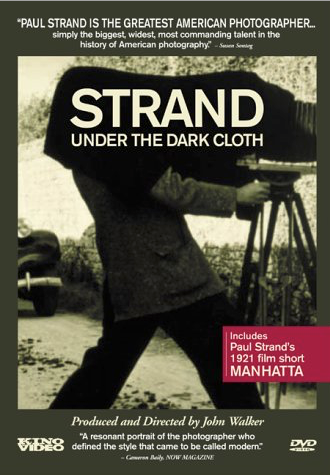 Paul Strand: Under the Dark Cloth: I love Paul Strand's work and always have. Here you have true talent that was quickly seen and used by many other photographers. His love life was picked apart and he ran from the group of friends that originally supported him. He struggled with political views that were not popular after the war and worked to find himself again as a photographer and film maker. I admire his talent and his work, both film and photographs. Each image or scene he filmed is powerfully shown. His work reflects thought, consideration and artistic control. This documentary is a wonderful introduction into the man. I highly recommend this and again this is a free one on YouTube. It is broken up into several videos so you have to go looking for the different sections but it is very worth it. Stieglitz may have steered the American approach to photography but Paul Strand was the engine behind that movement.